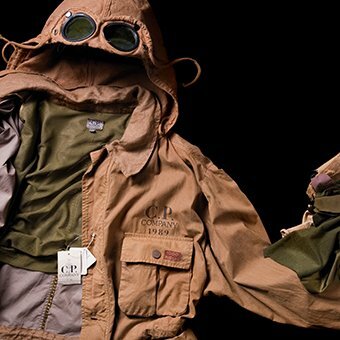 The reason for Osti’s fascination was subtle, almost invisible: the only cotton-nylon fabrics produced in Europe at the time were cheap but robust materials which used nylon in their warp and cotton in their weft and were employed for the lining of jacket and trouser pockets. 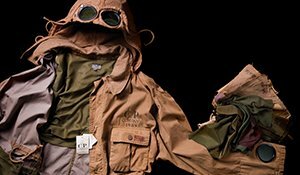 The American field jacket fabric Massimo had between his fingers was the opposite: it used cotton in the warp and nylon in the weft. Because the warp of a fabric is more visible, it constitutes the greater mass and is dominant. By using cotton and nylon in this configuration, the American fabric had the soft touch of cotton, combined with the “hidden” resistance and technical functionality of nylon. A lightbulb went off in Osti’s head, and with the confidence of a pioneer, he shamelessly asked a trusted fabric producer (owned and run by priests in the Varese region) to manufacture an almost identical copy of the fabric. 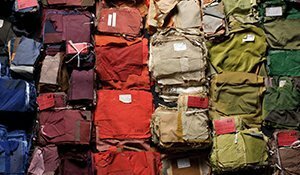 The only alteration he insisted on: that it be exactly 50% cotton, 50% nylon, which would allow him greater creative possibilities when the fabric was garment dyed. 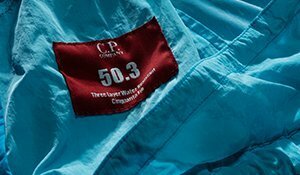 From that moment on 50 fili as the fabric was baptized (the name means 50 threads in Italian, and refers to the thread count per square centimeter of fabric) became the C.P. 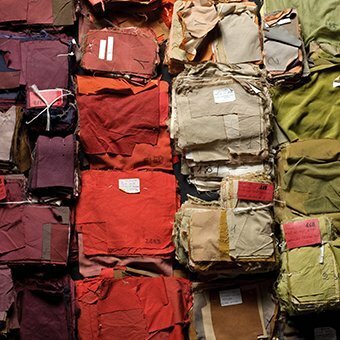 Company fabric, used throughout each collection, regardless of the season, year after year after year, subject to innumerable different finishes: double dyed, cotton-only dyed, nylon-only dyed, resined, coated, emery brushed and so on. 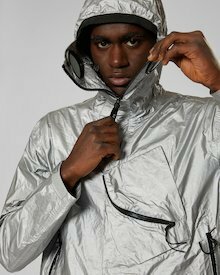 Fast-forward to 2015 and designers Paul Harvey and Alessandro Pungetti, themselves both fans and experienced hands at using 50 fili began to ask themselves how the fabric could be “upgraded” to conform to the ever-increasing performance demands of urban clothing. The answer reached them from the cutting edge of the synthetic fibre manufacturing industry, in the form of a new Korean polyester microfiber whose hand is very close – almost identical - to that of the cotton of 50 fili. 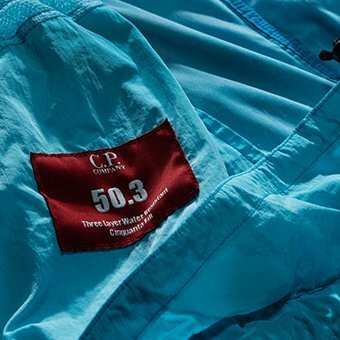 By substituting the cotton thread of 50 fili with this similar handling but hydrophobic polyester microfiber, the new blend (christened Micro M) became naturally water resistant but at the same time highly breathable, as well as (most importantly) maintaining that same compellingly dense and rich feel which Massimo Osti first fell in love with years ago. Micro M has been used in the current collection much in the same way as 50 Fili was once used: a classic fabric on which to build the essential C.P. 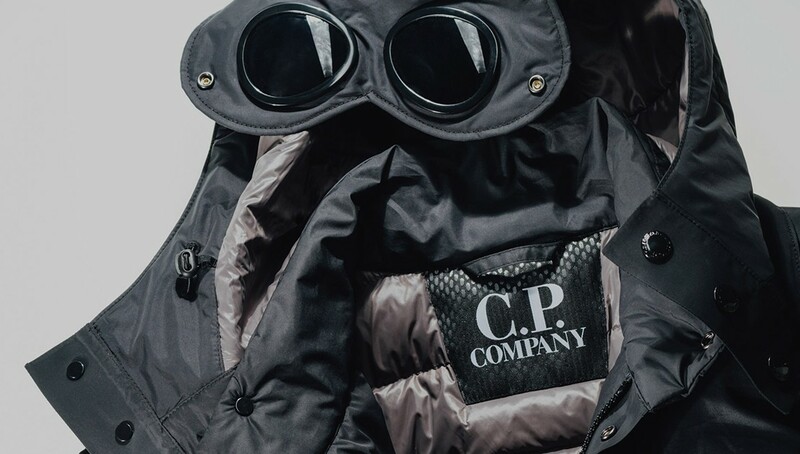 Company menswear shoulder pieces: the goggle jacket, the field jacket, the parka, the bomber and the overshirt.